Iowa Pacific Holdings caught the world of leisure rail by surprise yesterday with the announcement of a new Pullman Gold Service operating this summer on the classic California Zephyr route between the Bay Area and Reno, Nevada. The service will operate on weekends through September. Key Holidays’ new superior Pullman Gold Service using the same refurbished rail cars of Pullman Rail Journeys. The new service journeys the Sierra Nevada Mountains complete with upgraded dome car seats and dining options. Using classic Pullman coaches and dome cars, the service departs roundtrip and one way from Emeryville to Reno with connections available from San Jose and San Francisco. The train departs Fridays attached to Amtrak’s California Zephyr and returns Sundays on the westbound train. 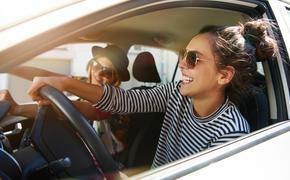 Stops available as both boarding points and destinations include Richmond (BART transfer station), Martinez, Davis, Sacramento, Roseville, Colfax and Truckee (Lake Tahoe stop). “The increasing popularity of heritage train travel has resulted in a demand for new routes and services throughout the country,” said Edwin E. Ellis, president of Pullman Rail Journeys and its parent company Iowa Pacific Holdings, LLC. Regularly scheduled weekend departures will be available through September. The dome cars will provide panoramic views under glass while serving quality meals and drinks all prepared on board. Key Holidays offers hotel and sightseeing packages using Amtrak and, in this case, Pullman Rail Journeys equipment. Their packages include such destinations as San Francisco, Sacramento, Napa, Lake Tahoe, Virginia City, Reno and others. 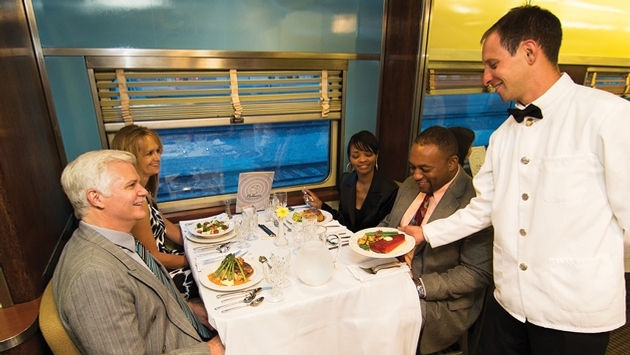 Key Holidays also operates a 15-car, 600-passenger excursion train as the Reno Fun Train and Sierra Scenic Train in the winter, offering themes and special guest riders from a Motown Journey with Martha Reeves to a Valentine’s Day railway renewal of vows. Pullman Rail Journeys, a division of IPH, has only been on the rails for a little more than a year, running the classic Pullman Service between Chicago and New Orleans. The company has collected the world’s largest assembly of Pullman carriages. They own 70 of the 500 such carriages in existence and at this moment they only have eight in operation, but will release a few more when they launch a New York to Chicago via Washington, D.C. service in autumn, 2015.